Tens of thousands of Finns, who are signing up to online casinos based in Malta so that they can quench their thirst for online gambling, have helped create a growing Finnish jobs market in the Maltese iGaming sector. The popularity of online casino gaming amongst Finnish nationals has opened up an opportunity for Finns who wish to work abroad. 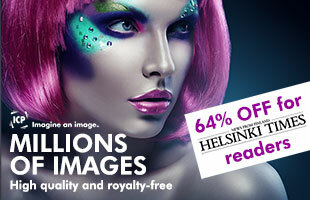 Tens of thousands of Finnish gamblers regularly play their favourite casino games via Maltese based online casinos. This has increased the demand for Finnish speakers in Malta, the country dubbed the iGaming capital of Europe. A significant decrease in regulations surrounding the iGaming industry in Malta, as well as the tax reliefs in the country have ensured that Malta is now the go-too place for all gambling companies wishing to operate in Europe. “We want to make Malta one of the most reputable jurisdictions of choice for the International Gaming Industry,” stated the Malta Gaming Authority in 2018. The growth of iGaming companies relocating to the Mediterranean island, which is situated close to the coast of Italy, has been massive. Over 300 companies with an estimated 13,000 employees have established themselves in Malta. Among those that have moved to Malta, at least 500 are Finns. “The rise in the amount of Finns playing their favourite online casino games has forced us to recruit more Finnish writers in order to cater to the growing demand, ”states Cristian Campan, Lead SEO for Malta based Finnish casino site Kasinopeleja (Casino Games). The increasing number of Finns playing at foreign based online casino sites, such as ones based in Malta, has increased the demand for Finnish website developers and writers. Although Finland was recently judged as the happiest country in the world, there are a growing amount of Finns who would like to broaden their horizons by working in and traveling to other countries. The growing popularity of Maltese based Finnish casino websites is giving wanderlust Finns the opportunity to spread their wings. Gambling in Finland is, of course, unlike any other European nation in as much that gambling is considered an everyday part of people’s lives. Where in most European countries gambling machines are limited to bars, casinos and snooker halls, in Finland, slot machines and other forms of gambling can be found in grocery stores and convenience stores across the country. Finnish gambling is controlled directly by the state. The positive effects of this are that the industry is 100% safe. In countries where the gambling industry is not regulated, the end result is usually a wild west like segment where anything goes. Furthermore, successive Finnish governments have channeled proceeds of the state funded operators back into the Finnish society, this has led to the marketing slogan: ‘A Finn always wins even when you lose.’ Finns spend billions per year on games of chance which is funneled straight back into society. The downside to this is a likelihood of gambling addictions among Finns – a problem that needs to be addressed. 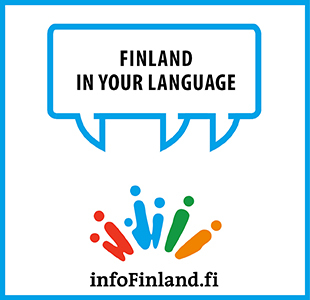 The Finnish Ministry of Health states that around 2.7% of Finns suffer from gambling problems. The online gambling sector is massive and it should come as no real shock that the industry has begun to slither its way into Finland’s state ‘owned’ gambling segment. However, the growth of the sector has increased the demand for Finnish speakers that are needed to work in the industry and thus has opened up jobs for Finns in high-growth countries such as Malta.